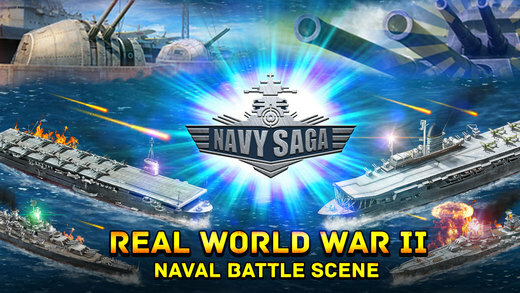 The game panoramically restores the big battle scene in the World War II. All warships are fine painted from drawings and the game is based on historical fact of World War II to show the atmosphere of sea battle. Multiple 7v7 battles, players can use tactics to upgrade cruise, choose the proper formation of fleets to suppress others. Hawk-Eye shooting, fleets assemble and take off quickly, all skills can be released by click with your fingertips. Just grab the key point of the warm and totally defeat enemies! China, U.S., Japan, France, Germany, Britain and Italy, the seven military powers all participate in the battle to fight for the hegemony. Dozens of famous historical warships are showing, which can be seen as a warship museum on the phone. 1. Change video and loading page. 2. Optimize some game localizations. 4. Add some new event types. It is crashing each time I open the game once I get to the main screen to select where I want to go. Battle, Arena, etc. it just freezes, and then it shuts off. I like the game, but becoming frustrated with this each time I get ready to play it.